Welcome to the Western Forest Products industrial road information site. Over time we'll be adding more roads to this site so you can have more current information when you're planning your trip. We can't guarantee that every detail will be reported on our network but with your help we hope this site becomes a rich resource of information for you, your family and friends. Your safety is important to us and we want you to be prepared when traveling our roads. Road conditions may change quickly, and the information on this site might not be completely accurate or timely. Please drive with caution and consult other sources of road and weather information when planning your trip. Western Forest Products will have no liability whatsoever regarding the content on this site or any damage that might be caused by relying upon that content. This is a community site. Let us know if you see anything out of the ordinary on your trip. 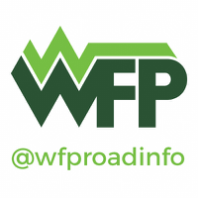 Take a photo or video of the issue, share a few words and use our handle @WFPRoadInfo and a road hashtag eg.#Bamfield in your tweet or Facebook message. Thanks!